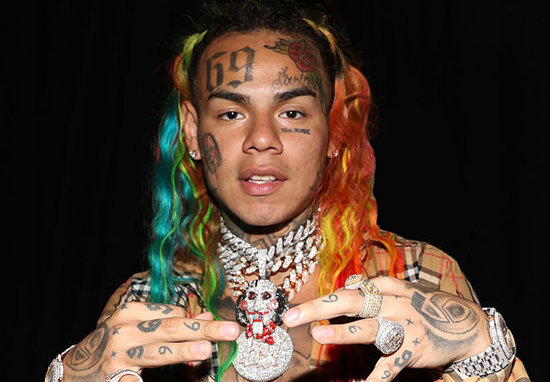 Tekashi69, who I’m reliably informed is a popular rapper despite looking like he’s just chomped his way through an assorted pack of Crayola, has had a sh*t 2018. Between being arrested for an outstanding warrant (He choked a 16-year-old girl), getting robbed, shot at, and finally being arrested again for racketeering and facing a life sentence in prison, it would be tough to argue he’s not had a shocker. So it must warm Tekashi’s (whose real name is Daniel Hernadez, which is a lovely name so we’re going to use that instead of his stage one from now on) heart as he sits in jail to know that there are still (for whatever reason) people in the world who love him. 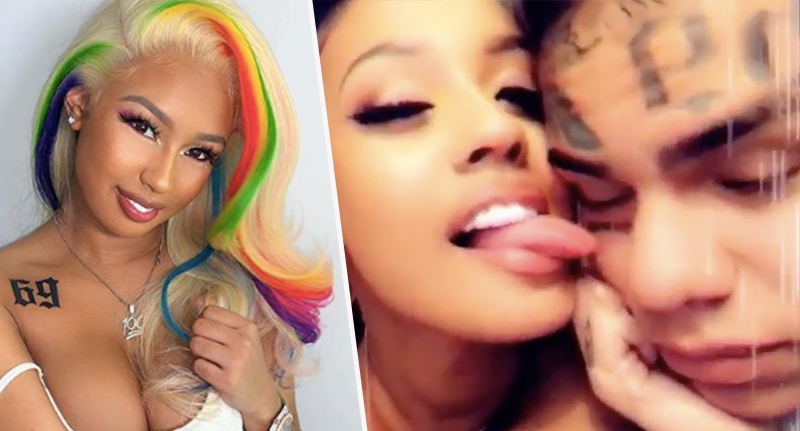 Most notably Daniel’s girlfriend, who TMZ tell me is called Jade, who’s dyed her hair and got a tattoo to support her man while he remains in custody for the whole alleged federal racketeering thing. Anyway, as I don’t want to write about Jade’s new tattoo I’m instead going to talk about Daniel’s legal troubles which are far more interesting. Daniel was arrested on November 18 as part of a joint effort by the Bureau of Alcohol, Tobacco, Firearms and Explosives (ATF), New York Police Department (NYPD), and the Department of Homeland Security following a five-year investigation. Daniel, along with five other men, faces charges relating to racketeering, drug distribution, and conspiracy to commit murder. Daniel has pleaded not guilty to all charges and a trial’s date has been set for September 4 next year. The rapper was denied bail, despite his attorney Lance Lazzaro offering to pay the court $750k, as well as the promise that Daniel would surrender his passport and remain on house arrest. As such Daniel is expected to remain behind bars while he awaits trial. If he’s found guilty the rapper will face a minimum of 32 years to life imprisonment. Daniel’s former manager Shottie (Real name Kifano Jordan) was also arrested, along with two more associates as part of the investigation. Last month Daniel attempted to distance himself from his management with a bizarre Instagram post in which he claimed to have fired his current management team. I am letting everybody know I cancelled my whole tour, the American dates is not happening, it’s not going down. I fired everybody in my team, I fired my manager, booking agent, PR, publicist. Whoever is booking shows for Tekashi69 is stealing your f**king money. If you are not on the phone with me do not book that show, it’s not me.